The Facebook Marketing Series is supported by Buddy Media, Power Tools for Facebook. Have something new to tell 500 million people? Learn the best way to launch a new product or service on Facebook with this webinar. You want to do good, and you want to use Facebook. Good choice. Facebook has a couple of things going for it. First off, there are a ton of people that use it â€” more than 500 million to be precise â€” so youâ€™ve already set yourself up to hit the largest social network audience. More over, even people without Facebook accounts are used to visiting landing pages on the site for events and causes, which make the potential reach even larger. Second, Facebook is an informal place to launch serious things. Most actions on the site take place within networks of friends (however disparate they may be in real life). As such, campaigns and projects inherently feel less â€œcorporateâ€ or cold when theyâ€™re spread virally from friend to friend. Weâ€™ve outlined five ways to take advantage of these elements, whether you want to register as a charity or just lend a digital hand without the rigmarole. This should be a no-brainer. Non-profits and supporters can set-up campaigns through Facebookâ€™s Causes app. Non-profits can create a page and accept donations directly, while everyday users can set up a page in support of non-profits already on and approved by Facebook. Thereâ€™s a handy help page to answer some more in-depth questions about conditions and how donations are handled. Important note: Before you start to donate to any campaign on Facebook, make sure the money or support is going to the right place. If youâ€™re giving money, make sure the root organization is a registered 501(c)(3) or appears on a registry site like GuideStar.org. These are actually required conditions to sign up, but itâ€™s always good to do some research, especially if youâ€™re not familiar with the non-profit. You want your money to be doing the most good possible. 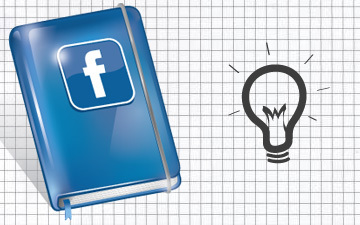 Facebook Pages have a lot of benefits over a website created from scratch. They require less work to set up, and you donâ€™t have to fuss over complicated or glitchy backends. Creating a Facebook Page (whether on Facebook Causes or not), is a great way to establish a web portal even if you donâ€™t know how to use WordPress, Tumblr or other free blogging platforms. For casual users passionate about a cause, a Facebook Page allows you to post videos, photos, updates and relevant links while having immediate access to your group of friends. You can also add apps to your Page to link up social tools like Twitter. Be cautious about asking for money or donations, especially if you are not a registered non-profit. The best bet is to provide a link to several charities where your (hopefully millions of) fans can help out. Too many numbers and conditions? Donâ€™t worry, thereâ€™s a way to launch a campaign without all the paperwork. Take a note from Livestrong and start a forum on your Facebook Page. Livestrong has used its page to create a safe space for cancer survivors to share their stories and offer support. Itâ€™s not enough, however, to simply let a forum run wild. Livestrongâ€™s page is moderated by Brooke McMillan, the non-profitâ€™s online community manager. She makes sure the comments stay on topic and she helps to drive the conversation forward. While there arenâ€™t many spammers or trolls, she makes sure to weed them out; the site only functions because of the safe and supportive community she has developed. Try creating a Page where supporters of your cause can start a conversation. It obviously wonâ€™t work for every type of campaign, but see if thereâ€™s a way to engage your audience and create dynamic, productive discussions. Facebook enables you to post media to your Page without much effort. The social network recently updated the look of its albums and photo pages, offering a richer media experience. If you own a camera or video camera, this is especially good news. 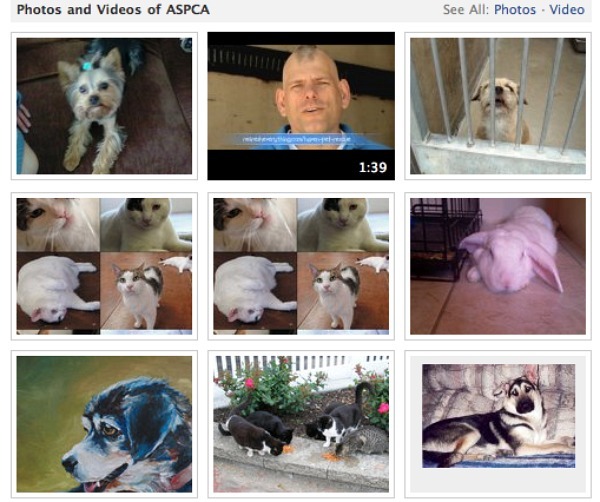 Consider setting up a Facebook Page as a photo album or photo blog where you can post updates, much like the ASPCA does. Your friends and fans donâ€™t want to see more PR, so think about how you can add value. Supporting a building project? Grab your camera and post some shots every day to show how the organization is using donated funds. Is your cause holding a fundraiser? Ask if you can take pictures or video so your fans can participate by proxy. As always, it helps to get permission from the non-profit youâ€™re supporting. Most will be happy to have your support and will welcome your efforts to grow their exposure. If youâ€™re not going to interact with others, thereâ€™s no need to be on Facebook. From a user perspective, the site was built for people to see and interact. You have to be willing to regularly devote time to moderating comments, answering questions and updating content if you want your page, cause or campaign to be a success. People will join you because they want to feel like they are part of the cause. If you donâ€™t create that community, your fans will have no reason to stick around. Simple things â€” such as asking what fans would like to see pictures of or what hot topics should be in the discussion â€” will help you create a dialogue and develop passion around the cause youâ€™re supporting. Launching a campaign on Facebook is easier than it looks, whether youâ€™re a charity greenhorn or an established organization. Before you start, take a minute to think about what you want to get out of Facebook: Donations? Conversation? Advocacy? Once youâ€™ve decided on your goals, jump in and see what Facebook can offer.